A responsive, people centred directorate where community and social needs of all are met in a safe, healthy and sustainable environment. To provide effective, efficient and sustainable social and community services, create a safe and healthy environment and place Batho Pele Principles at the centre of service delivery. Cleaning and beautification of open spaces. Management of recreational or even picnic areas. Maintenance of municipal sports fields and cloakrooms. Planting, pruning and cutting of trees, shrubs and grass. Development and maintenance of Play Parks, in terms of, maintenance of swings, fixing broken poles, fixing fences and painting of play parks and equipment. Monitoring cleansing of private properties. Management of complaints, e.g. illegal dumping, and so forth. Eradication of Alien Invasive Plants. Garden refuse collection from formal and informal households. Generating of Compost and sweeping of streets and Taxi ranks. And maintaining and beautifying Municipal gardens. This is done mostly through the Expanded Public Works Programme beneficiaries under the Supervision of the Municipal Waste Management Officer. To identify, prevent or reduce the occurrence of disasters, and to soften the impact of those hazards that cannot be prevented. To perform a co-ordination role, ensuring that multiple emergency and essential services work in an integrated and efficient manner, both pro-actively (risk reduction, planning and preparedness) and re-actively (response, relief, recovery and rehabilitation). Hence respond to all types of incidents/emergencies within the municipal boundaries. To emphasize on planning and risk reduction to mitigate effect and impact. To ensure that response gets co-ordinated and relief and recovery towards rehabilitation are done as quickly as possible to bring those affected back to normality. To implement risk reduction strategies on identified risk and pan accordingly including the establishment of a Local Disaster Management Centre. The Unit is co-ordinated by the Municipal Disaster Management Unit Officer. Thusong Service Centre/ Community Service Centres i.e Bhamshela and Sonkombo. Ensuring that citizens do have access to developmental information and Government services in liaison with GCIS. Analysing communication and facility needs to enable for various services at the Centres. Responsible for the running of efficient, well utilised and financially viable Centres by ensuring service providers abide by lease agreements entered into with the Municipality. Hence, also monitoring and periodically finalising the lease agreements. Providing space and infrastructural management to the Centres. Acting as a link between the Centres service providers and the LISSC, PISSC through submission of coordination, service provision, monitoring and evaluation reports M & E’s. Identifying, establishing and maintaining good relations with all the relevant stakeholders and community members. Co-ordinating events/ projects and campaigns in the Centres. Supporting the Centres in establishing development networks aimed at enhancing Centre operations. Ensuring regular planning, implementation and evaluation of services and activities in the Centre. Ensuring that Centres are managed cost effectively and in a sustainable manner. Providing guidance to administration personnel in the Centres. Representing the Centres at Provincial Inter-sectoral Steering Committee and the Department of CoGTA. Ensuring the collection of Monthly statistics for the monitoring and evaluation by the National Cabinet through the Department of Communication, formerly known as GCIS. By so doing the National Cabinet is able to monitor the functionality and delivery of services in the Centres. Determining the number of the built CDC’s and Halls that are still usable and still being used throughout all the Wards. The daily usages of the CDC’s and Halls if utilised on the daily basis. The hiring of the halls with their appropriate indemnity fees. The valuation and maintenance of these Halls on periodical basis in conjunction with the Municipal Departments of Finance and Technical Services, respectively. 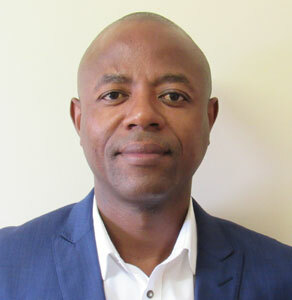 Community and Social Services Department responsibly liaises with the aforesaid Departments in determining budget for such valuation for Assets Management purposes and Maintenance purposes. The second phase of the project is aimed at establishing a Local Disaster Management Centre. The above two are still on the inception stage.